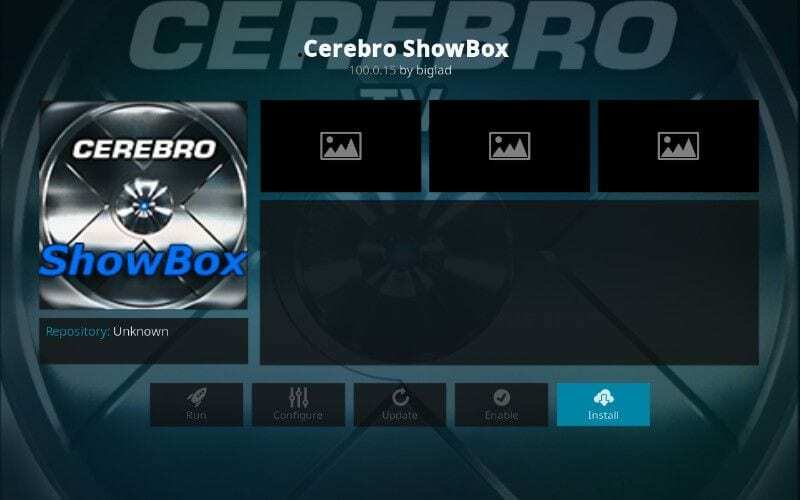 If you are tired of frequent issues with Exodus and Covenant, you might want to try out Cerebro Showbox Kodi Addon which streams movies / TV shows without any errors. The Addon is currently working smoothly and can be download from Cerebro TV repo. 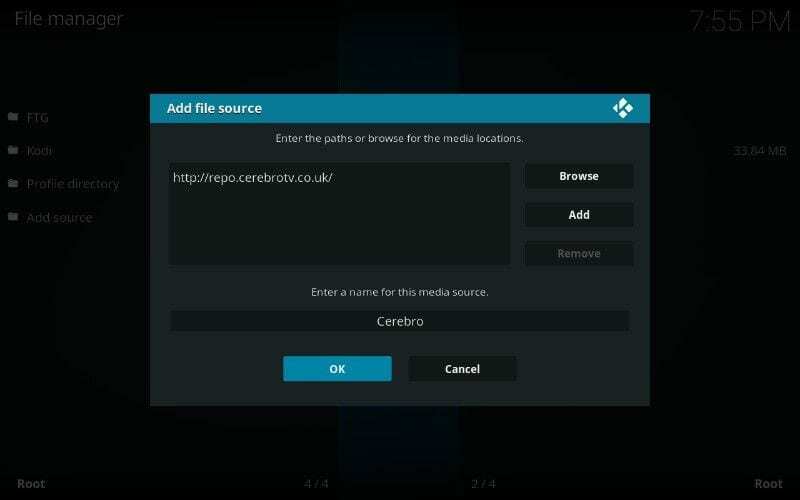 In this tutorial, I will show you how to install Cerebro Showbox on Kodi 17.6 Krypton in a few minutes. 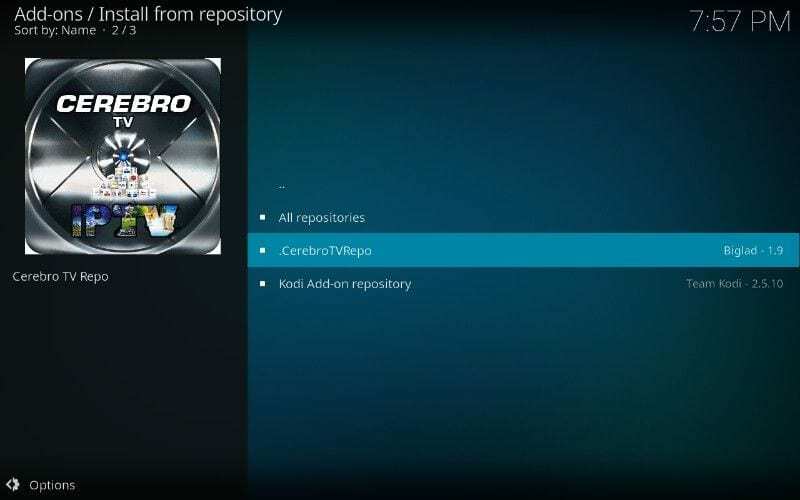 The installation process is completely similar to other Kodi Addons. If you will follow the steps carefully, you will be running the Addon within 5 minutes. 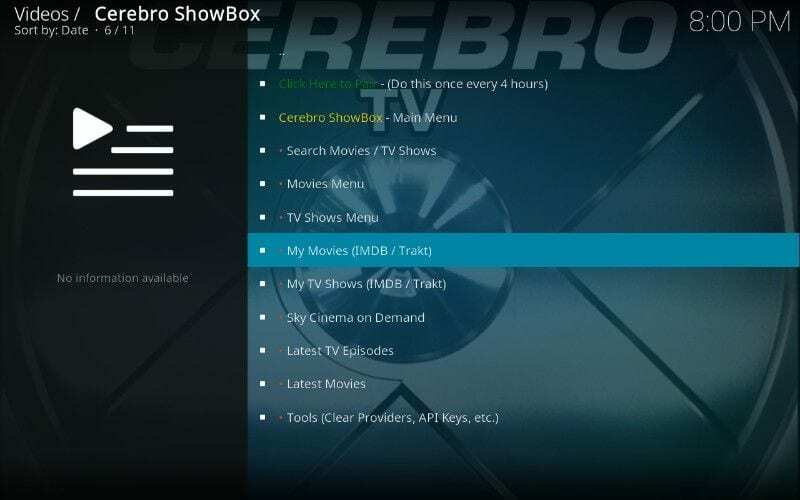 The below guide will install Cerebro Showbox on FireStick as well as PC (Mac/Windows). So if you are running Kodi Krypton 17.6 or lower version on any of these devices, follow the steps below. Note: Cerebro Showbox is not available for free anymore. You need to pay a one-time £25 premium to access the Add-on. I don’t recommend paying for it as there are several other Add-ons that are as good as Showbox. Still, if you want to buy the premium for it, here you go. 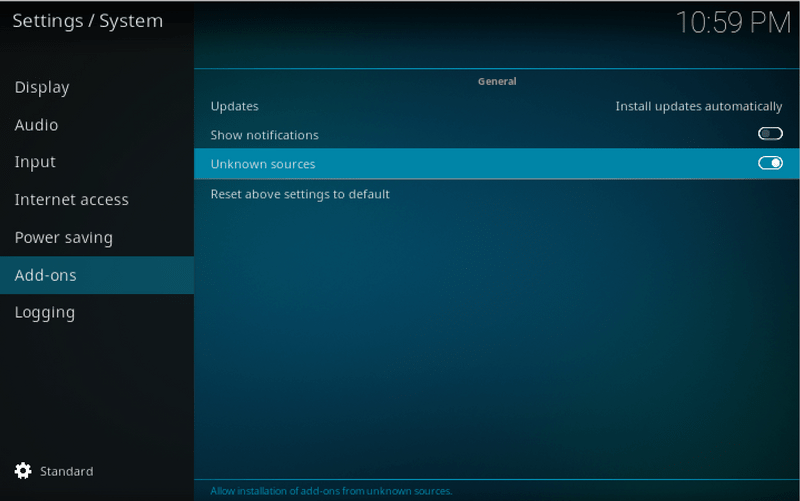 Step 1: Go to Settings > System > Add-ons and then turn on “Unknown Sources”. Step 4: Name the repo as “Cerebro” in the name field and click OK. 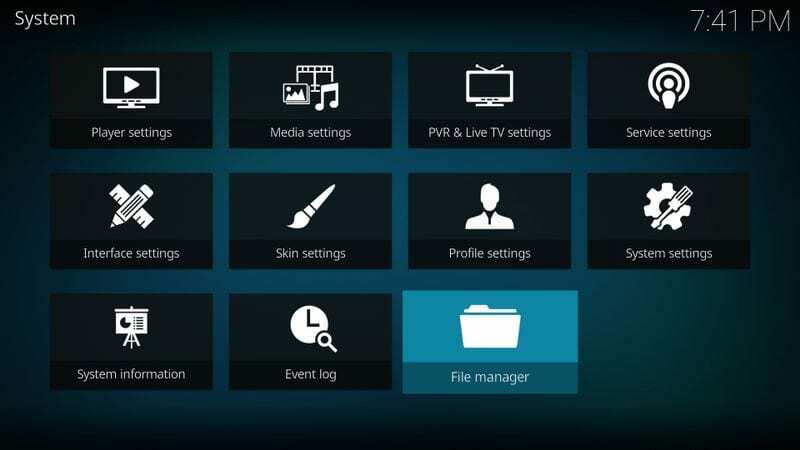 Step 5: Go to Kodi homepage and click “Add-ons” on the sidebar menu. Step 6: Now click “Package installer” icon on top-left of the screen. 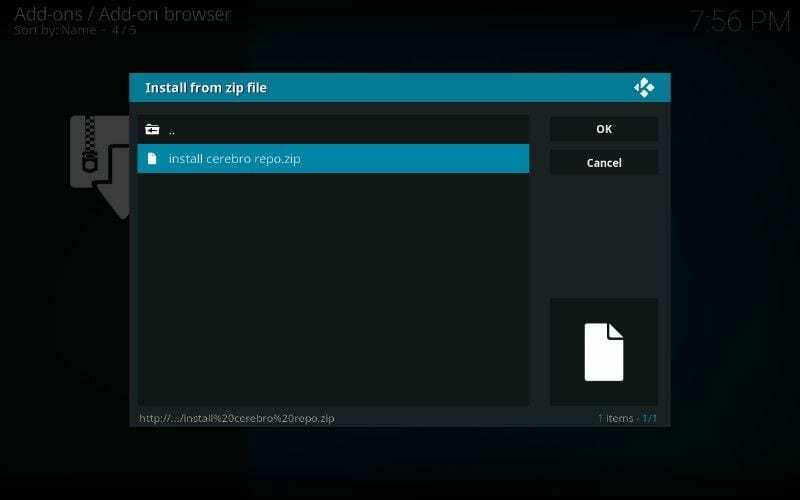 Step 7: Open “Install from Zip file” and then open Cerebro > install cerebro repo.zip. Step 8: Wait for some time. 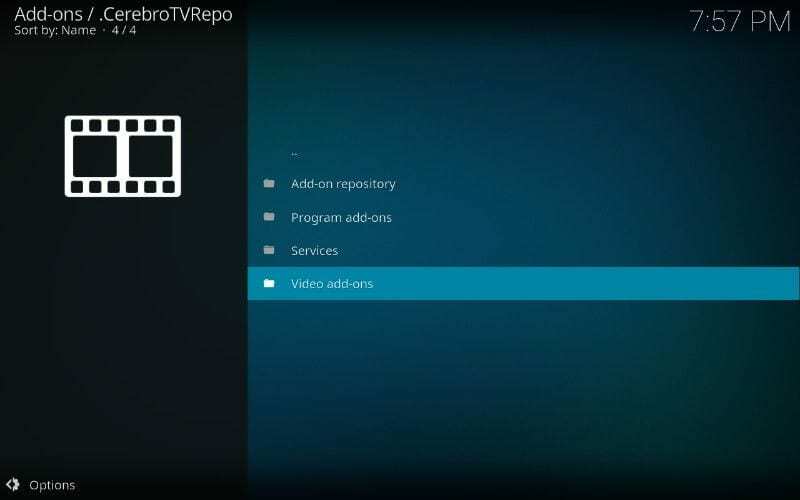 You will see “CerebroTVRepo Add-on installed” notification on the top right of your screen. 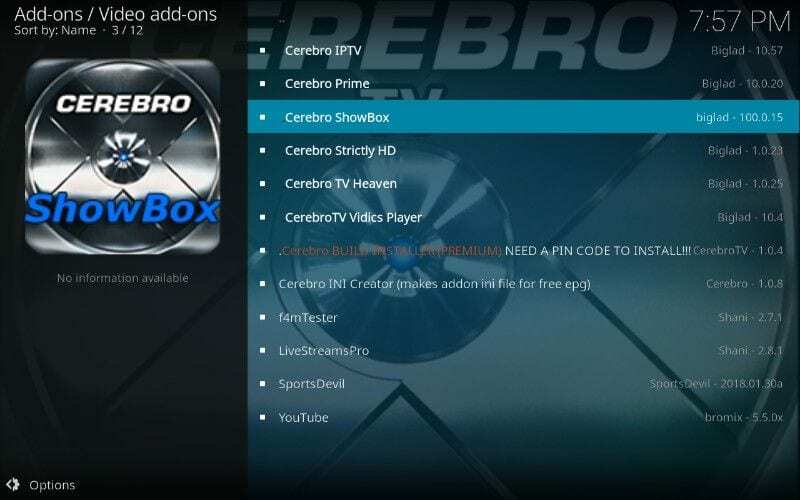 Step 10: Open “Video-Addons” and then click “Cerebro Showbox” addon from the listed Add-ons. Step 11: Tap on “Install” button and Cerebro Showbox will be installed on your Kodi Krypton device. Step 12: Wait for some time. 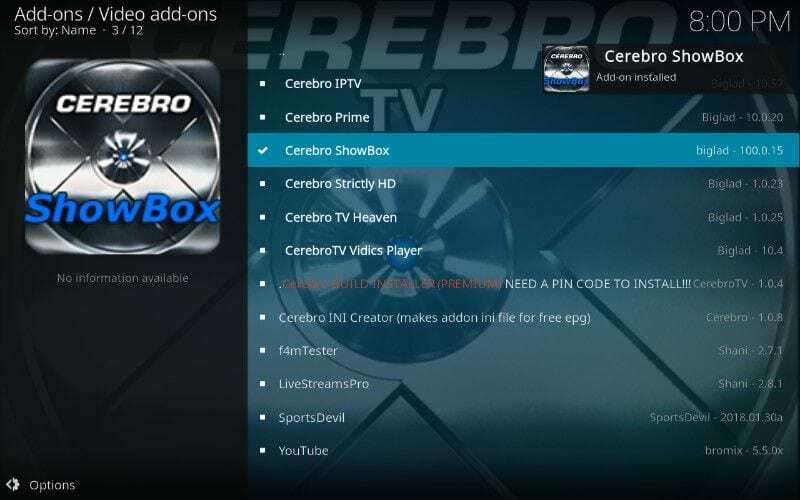 Cerebro Showbox will install a couple of supporting Addons before it gets installed. When you get the notification “Cerebro Showbox Addon Installed”, you are good to go. 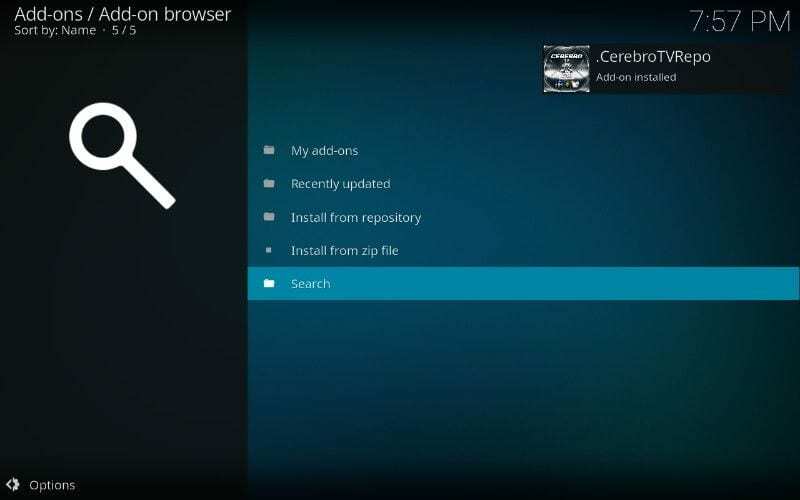 If you are wondering how do you use Cerebro Showbox Addon once it is installed successfully, let me tell you that it is very easy. Just go to Kodi homepage and then open “Add-ons” and hover over “Video Add-ons”. You should see the Cerebro Showbox Addon on the right side. Open it and then explore the different sections for latest movies, TV Shows etc. When you will open any movies / TV show, it will search the available streams and then will start playing it. You can watch HD as well as Full HD shows depending on the various streams. If Cerebro Showbox Kodi Addon is not working for you, I would suggest you reinstall the Addon instead of going in-depth of the error log. If you are seeing “No Streams available” continuously, then it is also possible that your ISP is blocking you from streaming anything from this particular Add-on. 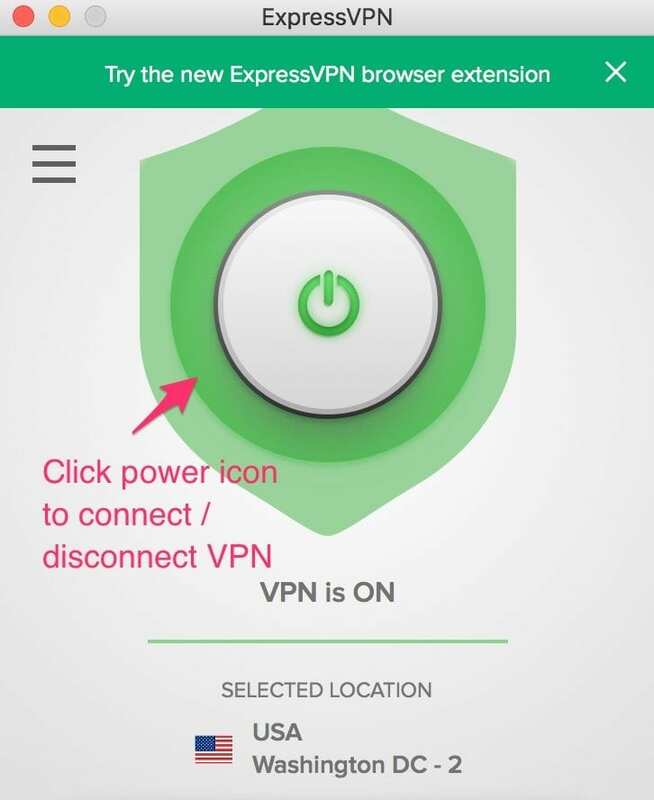 You can bypass the ISP control over your network by using a Kodi VPN.